Whether employees or customers, devices or daughters, different things need different levels of protection. Profile and privacy management are critical elements of any digital identity strategy. Learn how you can protect every person, place or thing connected to your digital world. Digital identity was meant for the internet of things (IoT). Whenever and wherever you need to connect users, devices, and yes, even things that like to take a walk, the ForgeRock Identity Platform has you covered. Try to picture the internet of things. Today, it’s made up of a series of isolated islands. Devices and services don’t connect, so users are left in the dark. 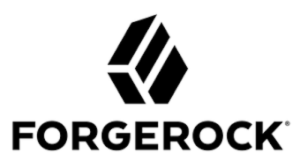 Leading organizations choose ForgeRock to provide digital identity for IoT, whenever and wherever they need to connect users, devices, and things. For a Smart City, Connected World, there is one common force behind modern convenience, safety, and efficiency: Identity. For more information, visit https://www.forgerock.com.